Some of these items can be reused and recycled but recycling companies do not deal with them because they are simply not worth the expense or the effort. While you can make a nice compost spot in your garden from spoiled food, you cannot recycle such products and nor can you do that with paper boxes or plastic containers that are stained or soiled by food. As a rule of thumb, you should rinse well such items but if they are too greasy and dirty, chuck them away because they can contaminate and block the recycling stream. This type of packaging can be recycled too but it is very flexible and easy to fold and turn into a ball. When that happens, the special machines at the recycling facility will have a hard time crumbling and sorting these items. What is more, recycling equipment can sometimes be damaged by multi-layer flexible packagings such as bags of crisps or chocolate bar wrappers. Always bring a reusable bag with you when you go shopping for groceries because plastic bags are too much of a headache to recycle. They wrap around the equipment and prevent it from doing its job properly. The reason why plastic wraps are not welcomed in recycling centres is the same reason why plastic bags have been banned from there. They are simply too small and flexible to be safely processed. Plastic, metal, wood – regardless of the material from which your clothing hangers are made, there is no point in recycling them. Their thin frames and odd shape are prone to damaging the recycling machines. That is why, for the sake of other more valuable and easy to process waste materials, their final and only destination after you have finished with them is the landfield. Most disposable coffee cups have a so-called polyethylene coating. 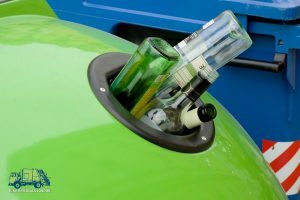 Although it serves a good purpose by keeping the drink in the cup, this material is neither easy nor cheap to recycle. So, the next time you use speedy loft clearance services in London, do not ask your rubbish collectors to drive all you plastic junk to a nearby recycling centre. Just because the items are made from a recyclable material does not necessarily mean that they can be recycled.